The next stage of human evolution will be marked by awareness that we are all interdependent cells within the super-organism called humanity. I find immeasurable value in Awareness, the state of being able to perceive, feel, and be conscious of people, ideas, and patterns. Since I first heard the word autism (December 2000), my Awareness expanded exponentially. My worldview widened, and continues to grow. I evolved, and continue to evolve. Before autism (and my children) expanded my Awareness, I was very certain of what I should do, how people should act, and how the world should be. Because my children didn’t match my image of how children were supposed to be, because I loved them, and because I wanted to be the mother they needed, I softened. I realized the value of being like bamboo, flexible and bending with changing conditions. I recognized the importance of acknowledging when I was wrong. I learned to be different from the mother I’d been expecting to be. Without the gift of autism, I would be shallower, more narrow-minded, and more rigid. The diversity that we observe in individuals today demonstrates that there is no one optimal way to be. We can expand our Awareness by interacting, working, and playing with one another. We can learn to communicate with words and beyond words, recognizing that the task learning to communicate across styles does not fall to any group, but is a task for all. It is not survival of the fittest, but cooperation, interaction, and mutual dependence among life forms that allows for the global expression of life. Autism rocked by world in the most amazing way possible. Read more in my post Work in Progress and in the book that tells my story, and those of other changed mothers, Swan Mothers: Discovering Our True Selves by Parenting Uniquely Magnificent Children. Give me the child for seven years and I will give you the man is a quote attributed to the Jesuits who believed that a person’s belief system evolves within a child’s infancy and that a Jesuit upbringing would make the adult a confirmed Jesuit. Modern science validates this belief. Between gestation and six years of age, what we hear, see, and experience lays the foundation of our core beliefs about ourselves and the world. If we are lucky, these beliefs form a basis for feeling confident, connected, and loved. Unfortunately, less supportive beliefs also develop. The very coping mechanisms that keep a child safe may cause significant challenges for the adult the child becomes. If a baby cries and cries and no one responds, she may conclude: I’m not loveable. A child who is ignored might decide: I’m not important or worth hearing. Spilling his milk or being the last in class to learn to read may lead a boy to think: I’m stupid. I can’t do anything right. In my previous post, I wrote about the new biology that shows that genes do not control biology, but rather are used by biology. In this post, we will explore the next question. What is controlling our genes and our experience of life? The science of epigentics (beyond genetics) reveals that epigenetic mechanisms can edit the readout of a gene to create 30,000 variations of proteins from the same gene blueprint. 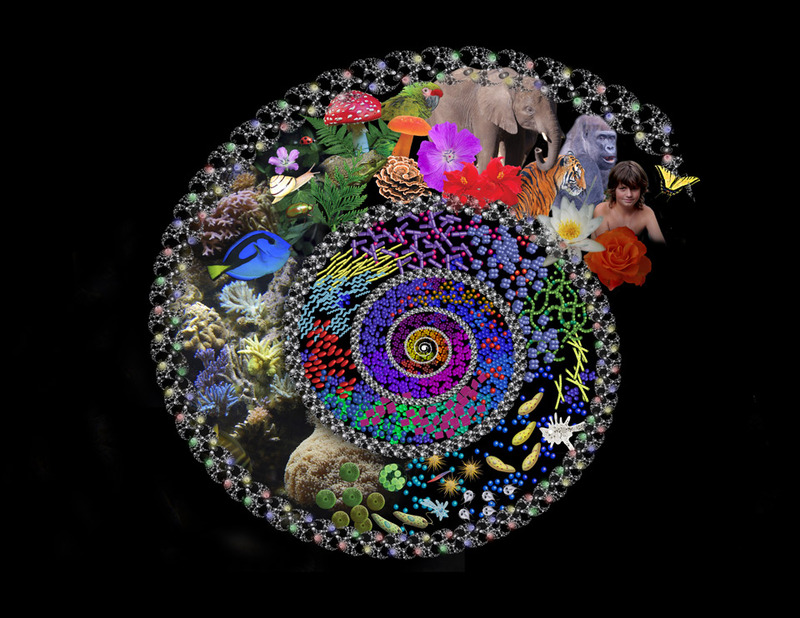 Gene activation is influenced by both our inner and outer environments. Our inner environment includes our emotions, biochemistry, mental processes, and sense of the spiritual. Our outer environment includes the food we eat, the toxins we are exposed to, and our social rituals. Most of these are in our control. If we can think, believe and eat our way to health and happiness, why are so many people sick and miserable? The subconscious mind interprets and responds to 40,000,000 impulses per second. This is why you can walk and chew gum at the same time, talk while driving, and brush your teeth while half-asleep. The conscious mind processes about 40 nerve impulses per second. Yes, 40. How can it keep up with the subconscious mind? It can’t. The subconscious is in control 95 percent of the time. Essential information for parenting today’s Uniquely Magnificent Children. Between birth and two years old, babies are mostly in a state of delta brainwave activity. From two to six, they are predominantly in the theta state. Delta and theta are the brainwave states that hypnotherapists induce in clients to make them more suggestible. With our children in the state of easy influence, everything we say and do is of utmost importance. Children cannot comprehend that a parent is dissatisfied with an action (perhaps a slammed door) rather than being dissatisfied with them as a human being. Everything we say and do matters. It is important to realize that our own core beliefs were imprinted by age six. That is why despite our best efforts, we find ourselves re-acting. We say words we swore we’d never say and behave in opposition to our intentions. Fortunately, what has been programmed can be reprogrammed. Processes like Matrix Reimprinting are our way out of old programs that have been playing and replaying themselves in our life patterns, in our words, and in our experiences. Matrix Reimprinting allows us to rewrite our past experiences to transform our future. I mess up every day. This information can be empowering – or a basis for firming up a belief that you are inadequate as a parent and human being. Choose to let it be empowering. Remember to breath to center yourself. Speak kindly and gently to your children. Be present for them. When you revert to old patterns or lose control, forgive yourself and move on. I do not know anyone who always says and does the right things. Certainly not I. “Life is about making mistakes,” said the Teacher. “Cells went on reproducing themselves in exactly the same way for millions of years until one of them made a mistake, and introduced change into the endless cycle of repetition. In a recent post, I wrote about my meeting with Bruce Lipton, Ph.D. In this post, I continue to share information from his book (with Steve Bhaerman) Spontaneous Evolution: Our Positive Future (And a Way to Get There from Here) and my thoughts about how it relates to today’s Uniquely Magnificent children. Genes are in the nucleus of the cell. Since genes are presumed to control life, many people believe that the nucleus is the brain of the cell. But when the nucleus is removed from a cell, the cell continues to function normally until it needs to replace protein parts. Organisms die when the brain is removed. Genes are simply blueprints used to make protein parts. Like the blueprints for a house, they cannot be turned off or on. Genes are just information until someone (or something) uses them to create a (protein) structure. New-Edge Biology teaches us that the cell membrane is the brain of the cell. Signals from the environment of the cell activate these switches. Thus, the switches transmit information from the outside to the inside of the cell. This information is used to initiate activities that enable the cell to sustain its life. Signals from the ever-changing environment direct cell function. Perceptions of the environment control (cell) behavior. At least one third of all medical healing are attributed to the placebo effect. When an inert substance is ingested, people sometimes experience unpleasant reactions or “side-effects” – even though they are ingesting a sugar pill. This is called the nocebo effect. According to Spontaneous Evolution, 95% of the human population arrives on this planet with a perfectly functional set of gene blueprints.Thus, most dis-ease manifestations can be attributed to a disrupted signal. Physical injuries disrupt the flow of energy in the body by causing physical and energetic kinks and blocks in information pathways. A misaligned spin, broken bones, and torn muscles may result in the distortion of information being exchanged between the brain, cells, tissues, and organs. · Correct trauma on the spot by using homeopathic first aid remedies. See Super-Easy Homeopathic First Aid for a list of the seven remedies I always carry and how to use them. · Are you or your child experiencing the effects of older traumas? If you have never been well since that car accident/that fall/that time you got really sick, homeopathy or matrix reimprinting may help. Toxic chemicals from vaccines, cleaners, pesticides, carpets, and food additives can remain in our bodies. They distort the signal’s information on its path between the nervous system and the targeted cells and tissues. · Homotoxicological remedies stimulate the detoxification and healing processes. If you believe that toxicity is a disruptive factor for your child, you can read more about homotoxicology and homeotherapeutics here. Matrix Reimprinting can transform the limiting, self-sabotaging beliefs most of us have acquired from our life experiences. What would happen if the impossible became possible? What if we could make it happen? Steve Bhaerman (writing as Swami Beyondananda ) says: The best way to face the unknown is by not knowing. If you have a child that is very different from the child you expected, you may have had him or her evaluated by a psychiatrist or a developmental pediatrician. Perhaps this professional provided you a list of the things your child will never do. And you believed her. He will never talk or ride a bike. She will never have friends or a social life. He will never have a job and live on his own. She will never play creatively. He will never understand idioms or humor. She will never go to college. We are influenced by what we see and hear and read. When we engage experts to evaluate our children, we hope that they will provide useful information. We think that they hold some key that will help us to help our children. Sometimes, we do receive useful information. Too often though, we are handed a list of problems and “defects” along with a recommendation for weekly therapies that are to go on for years. What would happen if we believed something different from the prognosis we are given? People do impossible things every day. People walk on fire. Those who expect the coals to burn them, get burned. Those who don’t, don’t. Twice a year, 50,000 people of the Bakhtiari tribe of Persia walk for days in snow and ice over at 15,000 foot mountain pass during their annual migrations. They walk barefoot. Mothers lift cars that fall on their children. A small group of fundamentalists known as Free Pentecostal Holiness Church drink poison but are not harmed because they believe that God is protecting them. Every day, spontaneous remissions occur and patients who have been told that they will certainly die, recover. How do people accomplish these impossible feats? 2. Give each statement a validity rating on a scale of 0 to 10, where 0 is not true at all and 10 is very true or very intense. This is a subjective, internal rating of the intensity of feeling you have about the truth of the statement. When you ask yourself, “How true is this for me?” write down the number that pops into your head. 3. Use the basic EFT recipe to begin shifting the hold these beliefs have on you. Do a round (or more) of tapping using as many of the following phrases. Modify the statements or add your own to accommodate your own individual feelings. 4. After a few rounds of tapping, give each statement a validity rating again. Are your feelings less intense or more? As you tapped, did memories or feelings come up? If yes, you can continue tapping on these new feelings. 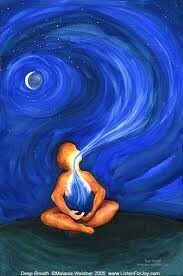 If the memories or feelings are very intense, breathe deeply, imagining the breath flowing into your heart. Stop tapping if this feels right. 5. If the feelings are less intense, look at the statements again. Consider how you can begin shifting your beliefs. Start small! Choose something positive and new that you can believe and that you can see relatively quickly. Perhaps you can envision your child putting on one article of clothing without protest or allowing you to place a new food on his plate. If you don’t believe that your child will get dressed easily, can you believe that there is a possibility that she will be more cooperative. You can learn how to change your beliefs too. Join one of my mothers’ circles. What is your reaction upon reading that? It is easy to agree that cultural and societal beliefs and norms affect our behavior. But can beliefs affect our biology? Our behavior certainly affects our biology. On a fundamental level, the foods we eat, the beverages we drink, and the air we breathe become our body. While we are eating an apple, we see it as separate from ourselves. Within a few hours, we experience that apple as ourselves. What is it within us that creates human beings from apples? Something within us changes an apple into a human being. This same something can re-wire our brains (and change our biology) beyond social upbringing, family situations, and genetics. The Earth and the biosphere (which includes each of us) are an integrated living system. If our beliefs are creating our bodies, our experiences, and our Planet, what would happen if most of us changed our beliefs? What do you believe is the future of our children? What do you believe about life? I don’t deserve an easy life. I’ll never have enough money/love/happiness. I’m being punished because I’ve done some bad things. How has your child has changed your fundamental beliefs about life? Tell me in the comments or visit the Swan Mothers page on FaceBook. “Children on the autism spectrum are given space to grow at their own pace. There is no forcing them to do anything. I have taken this to heart. I have learned to accept my processes, even if at some point I thought they were wrong or not good enough. These children have healed me of judging myself, of comparing myself to other women, they have shown me the importance of silence. They have given me space to create. So many children on the autism spectrum have creative gifts, they are amazing artists, singers, and creatives. They have gifts, and they have made me shine the line on my own gifts.” Well said, Shane! If you yourself are afraid of the forthcoming procedures or are worried about your child’s reaction, he or she will likely mirror your feelings and attitude. You may have had painful experiences in medical settings and your reason for concern in cemented in your body and mind. The first step in making a visit to the doctor easier for your child is to do your own work using Matrix Reimprinting with EFT, journaling, or another transformative energy method so that you can feel better about the upcoming event. This does not mean that you have to feel happy about difficult situations. All feelings are valid. In doing the work, you make a shift to a place of feeling better by replacing fear with knowledge and acknowledging your fears. When you change your old programming, you will be equipped to support your child and speak up as needed. This section is inspired by and borrows from Chapter 5 of Verbal First Aid: Help Your Kids Heal from Fear and Pain–and Come Out Strong by Judith Simon Prager and Judith Acosta. Many children don’t like surprises. Tell your children about upcoming procedures and appointments. Prepare them by using social stories (simple and accurate descriptions of what to expect, presented with drawings if needed) and providing gentle, honest descriptions of what to expect. These kinds of statements and questions leave space for the child to have his or her own experience. Take a few breaths to calm and center yourself. If you child is able and interested, invite him or her to join you in breathing. Children might enjoy breathing in a favorite color or fragrance (use imagination) to feel better. Build rapport with the caregiver so that your child can see that you are a team. Ask your child to look into your eyes, out the window, or at a picture or toy. Guide your child in picturing a happy time and place. Engage her in reminiscing or telling stories. “Let’s go for a walk in our imaginations. Is there a place you’d like to go?” Let the child answer. If he doesn’t have any ideas, you may help him. “I think I see a rainbow over that way. Let’s walk over and see if we can touch it.” You may want to have fun sliding down the rainbow, flying on unicorns, or getting caught in a sparkle or candy shower. Observing a child’s unique fears and responses to various situations helps point the way to a good constitutional remedy. The descriptions below describe only a tiny portion of the remedy picture. They are provided so that you may gain insight into comprehensive nature of homeopathic prescribing. Consider the remedies below. If one of them seems to be a very good match for your child, give your child a dose of the 30c potency at bedtime for up to a week before the doctor visit or procedure. Don’t be afraid of homeopathic remedies. Many other remedies may be indicated for your child. If your child is very afraid of doctors or needles, a consultation with a homeopath may be helpful. A great remedy for children who have been stricken with great and sudden fear and do not want to be touched. They might feel like death is pursuing them, even when the ailment is minor. Children who need gelsemium prefer to be left alone in a quiet place. They are apathetic about their illness and seem frozen both mentally and physically before dreaded events. Irritable children who are hypersensitive to noise and light. These children do not like music, are very fussy and want every detail in place. They don’t want to be touched. Even minor ailments affect them strongly. Children who blaze brightly, then burn out. They are also sensitive to light, sound, odors, touch, electrical charges and thunderstorms. They crave salt and are very thirsty. Phosphorus individuals are subject to nosebleeds and other excess bleeding. This is a remedy for delicate children who are intensely affected by modern living conditions and over-processed foods. They are afraid of sharp objects such as knives, needles and pins and the sight of blood. They tend to be constipated and may appear unhappy, like the light has gone out of them. Apis children are jealous, rigid, hard to please, and unable to concentrate enough to read or study. They may have many allergies. They are individualists who find it difficult to integrate into community life. During procedures, they may produce sudden shrill and piercing screams. These children lack grit and self-confidence. They are sensitive and serious. They will usually give way if pushed, but will quietly do what they wanted to do anyway. Silica children are terrified of pins and needles.